On the 24th of February 2007 my husband, Stuart, drowned himself at sea, leaving me widowed with two young daughters aged six and four. I knew it wasn't an accident, even though the medics and police never suspected suicide. Stuart had been talking about ending his life for a year. His most recent suicide attempt had been only three weeks earlier. Afterwards, he explained that day as the most peaceful day of his life. Sitting next to the dam, he smoked his last cigarette. He drank a hundred sleeping pills and did a final check to make sure everything would look like an accident. The last thing he remembered was swimming out into the crystal clear water. He said that he was no longer scared of dying, that there was nothing scary about it. Living was the scary thing. 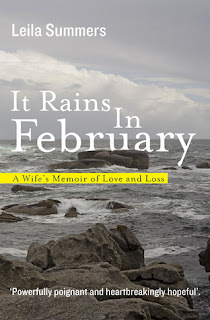 It Rains In February is the first memoir that I've ever reviewed and Leila Summers made it too easy to love this book. Or maybe that just makes reviewing it harder. As Leila retells her tale of sadness and fighting her husband's depression, readers will find themselves slipping into her shoes and walking through her journey. This memoir covers the year that Robyn's (Robyn is the name Leila Summers used for herself in the book) life fell apart, piece by piece. It begins with Robyn's husband, Stuart, being in love with another woman, who loves him back in words but not in actions. When Stuart's love is unrequited, his life becomes a hell in which the love he has for himself drains to non-existence. Throughout the entire book, Robyn fights to give Stuart something to live for, though he already feels his life has been lived and he's ready to die. There were many points throughout the memoir that I felt like I needed a good cry as I read about Robyn sitting on her veranda, smoking cigarettes and drinking a glass of wine, wondering how she was going to save Stuart. There were other times when I wanted to reach through the screen of my Kindle and slap Stuart across the face and ask him, in a tone louder than normal, "What the hell are you doing?!" It Rains In February brings out so much emotion from the readers because Robyn is so open, raw, and honest with what happened. And she definitely doesn't go easy on herself. Readers will be able to see how much she tried to save her husband and how that negatively effected her. There were a couple times throughout the novel that seemed to have a timeline problem. Robyn would be discussing one event that would remind her of another. Then she would bounce between the two, describing them both. Though this helped the book read as a stream of conscious novel, it also created small bits of chaos where I would have to stop and re-piece the scene together in my mind. Upon finishing this book, I was filled with a sense of sadness melded with peace. The entire novel is a first hand account of what the-person-left-behind struggled through and dealt with when someone near them was suicidal. It's amazing that anyone could write a book such as this with as much love, hope, faith, and belief as Leila Summers did. A novel worthy of unrelenting commendation. 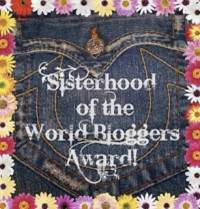 1 Year Blogoversary Give-a-way starts Today!